Under Construction: Ready Soon! This 3-story town home in the heart of West Park Village has it all. The first floor has a 2 car garage and additional third bedroom with an en-suite bath - great for guests or a private study. The second floor features a showstopper kitchen that will inspire you to start making your next culinary masterpiece! The gorgeous cabinetsextend to the 10-ft ceiling and wrap the width of the home creating plenty of counter space. Your guests can join in at the enlarged island or unwind with the open layout extending to your living room and private outdoor balcony. If it's lifestyle you're looking for, then this unique town home community at the Reserve at West Park Village is for you! Located in sought after Westchase, a 2000-acre master-planned community, Reserve at West Park Village offers an 18 hole public golf course,two Swim and Tennis centers, multiple parks, playgrounds, picnic pavilions and nature trails.In addition to exceptional Design,Choice,and Service while living in your new Central Living town home by David Weekley,you are within walking distance to West Park town center which features multiple restaurants,24 hour fitness,coffee shop,banking, etc. 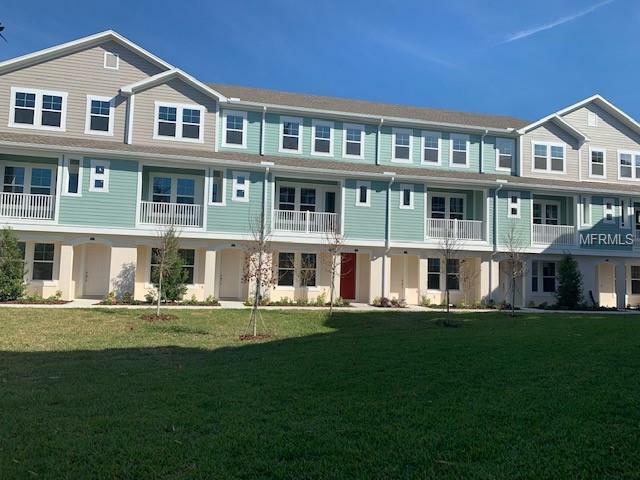 You are also within walking distance to Westchase ElementarySchool, community pool, tennis court and park.Easy access to Tampa international Airport, Veterans Expressway,Linebaugh Ave. and Racetrack Road.The photos are of a similar home, the first floor shows a flex space which the current home do not have this design.